Amsterdam is the official capital of the Netherlands, but Hague is the city where the Dutch Queen Beatrix and the national government and parliament are located. Although Hague may seem a much calmer and more conservative city than free and vibrant Amsterdam, many exciting attractions can be found here, such like over 150 international organizations. The wide boulevards of Hague, lined with trees and majestic 18th-century Baroque mansions, contrast with the traditional peaked houses and canals that dominate the landscape of most other major Dutch cities. Most of the numerous green spaces of Hague are located in the 11 km zone of the city on the coast of the North Sea. Many of the best museums, shopping centers, Indonesian restaurants in the Netherlands are in Hague, but the most famous landmark of the city is Scheveningen, a seaside resort located just four kilometers north-west of Hague. IMAX cinema Omniversum and Madurodam a miniature city, or rather the whole of Holland in miniature, can argue with this statement, especially for the younger visitors of Hague. 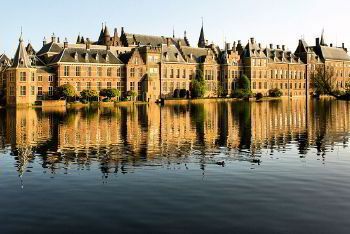 Everyone who plans a trip to the wonderful city of Hague can take advantage of the quality services of 8rental.com. for the renting of highly comfortable minivans with a driver and spend time in this city as efficiently as possible. The company is proud of its staff and the high level of service that is provided to all who want to spend an unforgettable trip to Hague. Therefore, this service is a place to be used in order to feel more confident and have a safe traveling through the whole of the Netherlands. 8rental is a company that considers its customers' needs and requirements as its main prerogative. We understand that good customer service means helping customers efficiently, in a friendly manner. It's essential to be able to handle issues for customers and do our best to ensure they are satisfied. From years of experience, we have learned that good customer service is always being positive and willing to assist our customers to the best of our ability. We are here 24/7 and ready to provide you with all the support you may need. Driving in one of the minibusses of 8rental.com. each traveler can relax and not worry about anything on the road. Since, traveling on the minivan of 8rental, everyone has a guarantee that his Hague trip will be without any problems. 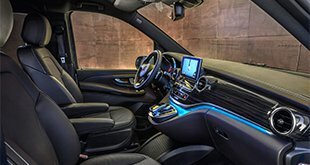 As we know that comfort is the first feature that our customers look for we guarantee each passenger can relax sitting on comfortable chairs, ask the driver to turn on the music or film or even to read by using special lights that are above each chair. 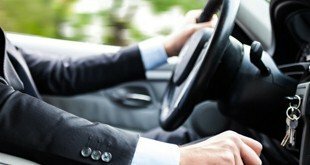 A real professional driver will be driving the every hired minivan, a person with an extensive experience in the driving of passengers sphere. The drivers 8rental.com. daily transport various numbers of people to different distances both around the city of Hague and beyond it. They have a very professional approach to their work and are always very punctual, and conscientious. They are also well-educated, regularly undergo the medical examination, do not have any bad habits, can communicate in several of the most common languages and are always very polite and friendly with each of the passengers. Provide yourself an unforgettable trip - book a spacious and modern coach for the best trip of a lifetime around amazing Hague!